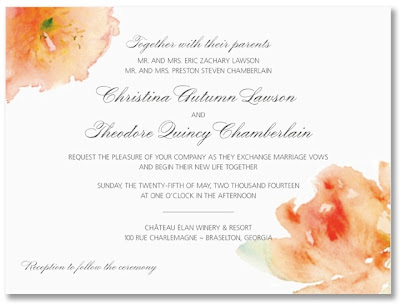 Watercolor Floral Invitation from our Style Me Pretty collection has a delicate floral style that is carried through the entire suite, including Reply, Reception, Save the Dates and Personalized Thank You Notes. 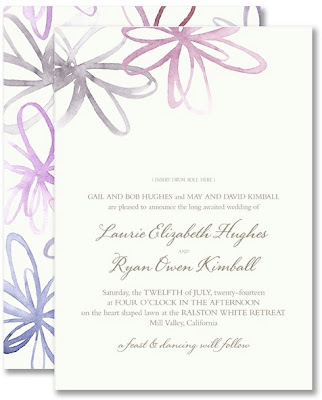 Watercolor Blossoms Invitation from the Vera Wang collection charms in shades of plum, raspberry and charcoal. This delightful invitation has matching Reply, Direction/Accommodation Cards, coordinating Programs and Personalized Notes. Sweet and romantic in rich pinks, this Watercolor Floral Ecru Invitation from our new William Arthur wedding collection has matching Reply Cards and coordinating Menus, Table Cards and Shower/Rehearsal Dinner Invitations. This summery Watercolor Hydrangea Invitation from our Truly Weddings collection has matching Reply and coordinating Correspondence Cards, Letter Sheets and Boxed Notes. 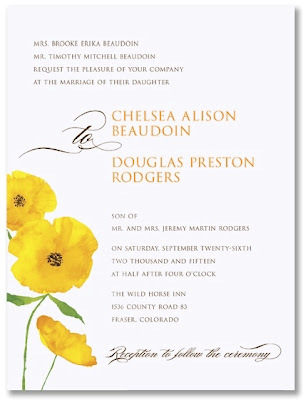 Sunny Floral Invitation also from our Truly Weddings collection, adds a sunny pop of color with calligraphic accents. 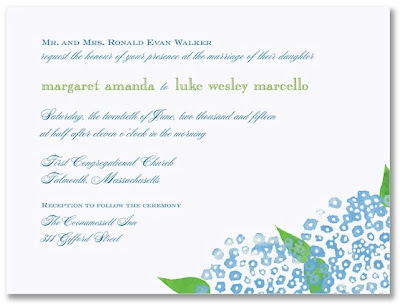 This invitation has matching Reply Cards, Correspondence Cards and Personalized Thank You Notes. 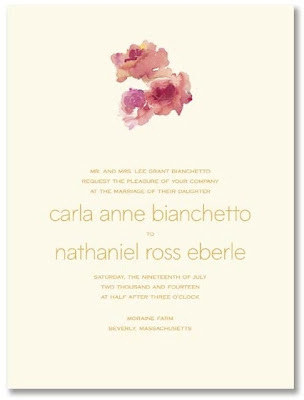 Grandmother's Rose Invitation from our Prentiss Douthit collection, features a delicate rose in a watercolor-style of warm peach tones. 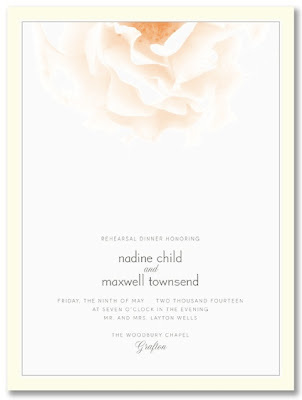 Perfect for wedding, rehearsal dinner or any sophisticated affair, Grandmother's Rose has a matching Reply Card. 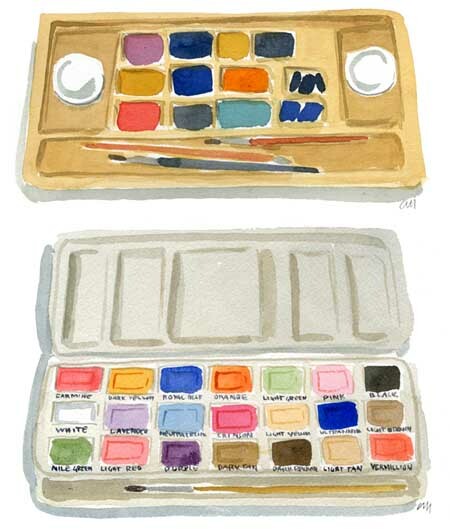 We think the traditional elegance of watercolor adds a fresh modernity to any wedding invitation. Don't you?